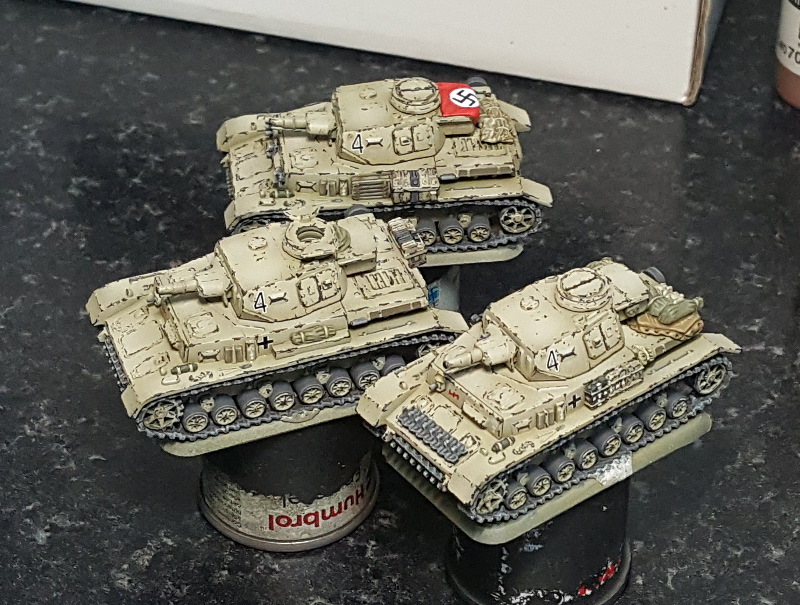 Following on from the WIP post, the Panzer IV F1 platoon, now finished. Now done: they're not going to win any painting awards, though the method does work. You cant beat proper pin-washing for best detail, but that obviously takes more time. 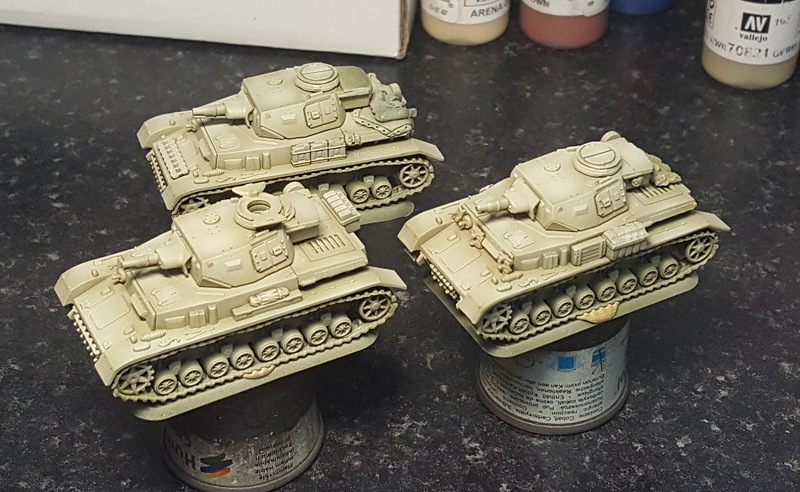 15mm Cobras from the Team Yankee range, Battlefront Miniatures. 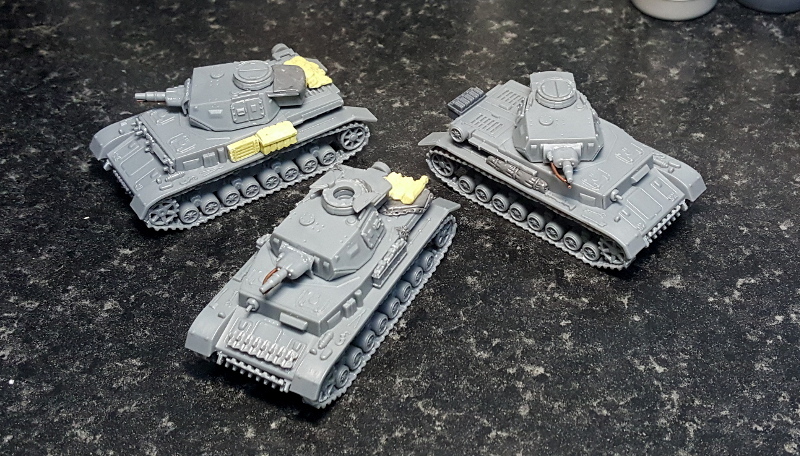 I am slowly working my way through several German tank units for Battlegroup Tobruk. First up, these Panzer IV F1s, later some six Panzer IIIs (3x Ausf. G, 3x Ausf. J), then other things I'm sure. Models by PSC: they are looking a little dated and need a fair bit of work: still better than metal and resin though! 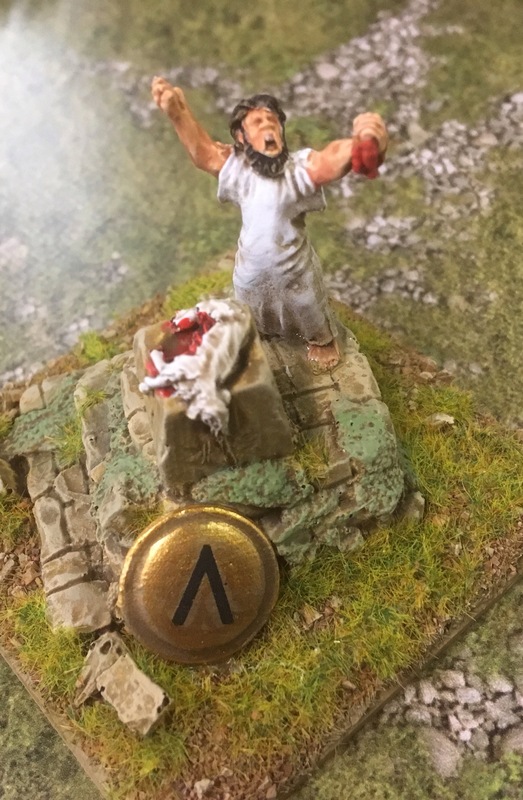 Filled the hole in gun mantlet, scratch-built deflector under 7.5cm...they're OK. Light-ish stowage added: I also attempted a hand-painted Reich flag for air recognition: it's decent, not perfect. PSC decal sheet next time methinks. 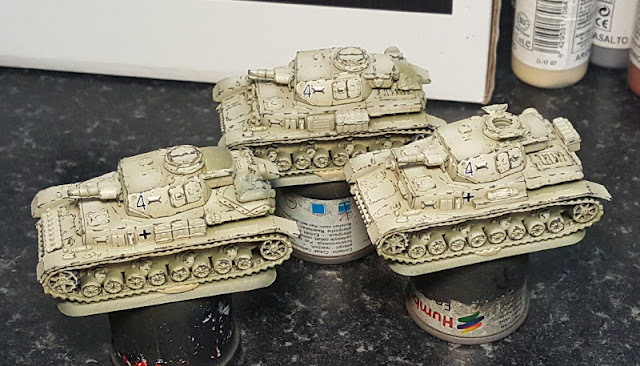 Lacking the correct colours I used something that looked "desert-ish": MIG 902 Dunkelgelb Base, then MIG 011 Dunkelgelb aus '44 DG I, finally MIG 012 Dunkelgelb aus '44 DG III...so, not RAL8000 then. I think it will work OK, though it resembles the later RAL8020 colour more, so not quite right for 1941. Should have bought a DAK colour set but too late now: KBO, etc. 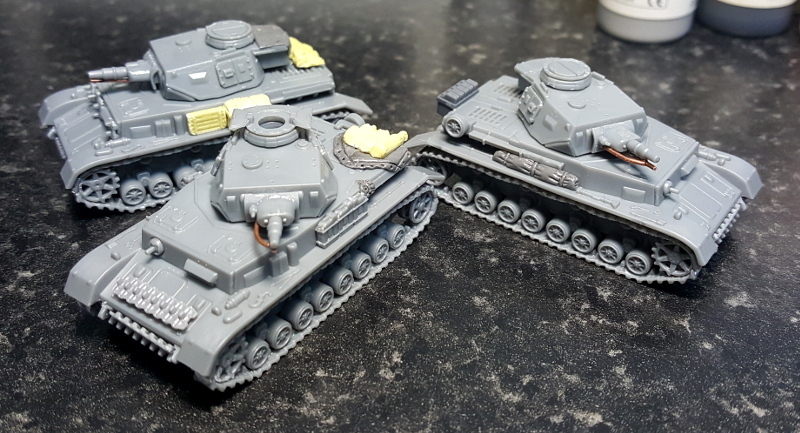 Chipping, mostly by brush to get a quite worn look exposing the Panzergrau. I went for a quite "beaten-up" look based on some colour plates: seems to be working alright. Once the pin-wash and details are all done I can see if it really works. Markings for 4. Kompanie, Panzer Regiment 8, 15. Panzer Division. Missed the exhausts! Done now.